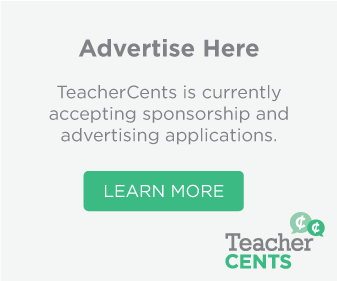 Calling All Teacher Runners and Fitness Enthusiasts: Stop Spending Your Own Money on Classroom Supplies, Read this blog! Updated Post: Ok, I started to feel a little guilty with all the movie themed posts we’ve been doing lately and thought it was time to promote some healthier content. I am not saying movies are not healthy. They can certainly be beneficial to mental health and can be a vehicle for bringing people together and that’s a very healthy thing. However, as a country we sit way too much and spend a tremendous amount of time indoors glued to screens of all kinds. Here is another sad fact. 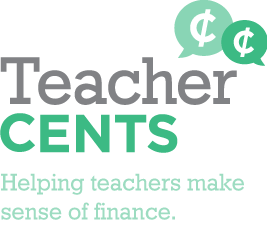 Each one of you spent between $400 and $500 of your own money last year ensuring your student’s needs were met and many likely spent much more. How many of you already spent that much getting your classroom ready for this school year? Those needed items you bought went far beyond pencils and notebooks and likely included food, clothing, and other necessary everyday items. If that doesn’t sound hard enough, you were also tasked with developing your student’s character and ensuring their overall health. I won’t get into all the other things on your overloaded plate, like your students test scores, emotional and physical safety, and parent expectations. Let’s face it Teachers are Heroes! You deserve more and TeacherCents wants to help. We might not be able solve all the problems you and your school face, but we can offer a fun and healthy way for you to keep more money in your pockets, get the materials you need, build your students character and even promote a healthy lifestyle. Host a race! You may be thinking and saying, “Host a race, are you crazy!” “I have way too much on my plate already.” Don’t despair! There are numerous resources out there to help you from beginning to end. Race season has started and you might be able to have your own event before the end of the summer or target the coming cool, crisp days of fall to have one. If you don’t you have time for an end of summer race or a fall race, no problem. Winter might not be a big hit for some people, but people run and walk all year-long. Use the following information to create your own event or hire someone to help you no matter the time of year. First step is deciding what type of race event your school wants to host. Your menu includes Fun Runs, Obstacle Races, and traditional distance events to name a few. Your next step is deciding what level of involvement your school wants to have in the process. Your options range from: doing the whole thing yourself (not recommended), get some help and tools from experts, or have someone else do the entire thing from beginning to end. TeacherCents is all for school spirit and trying to do things in-house, but there is a down side to this when it comes to hosting major events like a race. For one, you are already taxed to the limit and have little time and energy to devote to additional projects, especially this early in the school year. Furthermore, you are more likely to generate greater revenue with the right tools and expertise. 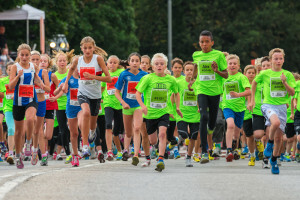 Your school might decide they want to outsource the entire operation and use the race event to address additional goals outside of fundraising. Apex Fun Run is an organization that works with schools, has PTO and PTA on their board and whose sole mission is to “make fundraising easier.” They also provide schools with leadership curriculum and play an active role in helping schools achieve their goals. For schools looking to address character education, fitness, and raise money check out Fund Runners and Boosterthon Fun Run, whose mission includes Fitness-Leadership-Character and has been working with schools and communities for over 12 years. To get a better idea of what some school race events looks like, check out the following links: The 2015 Excellus BlueCross Blue Shield Teacher’s Challenge 5K, Steamboat Sneak, Oswego Einstein Run, and Miles for Music. Hosting a race event is not just a great way to raise money and address leadership and character goals. It can also be an opportunity to enrich your curriculum. 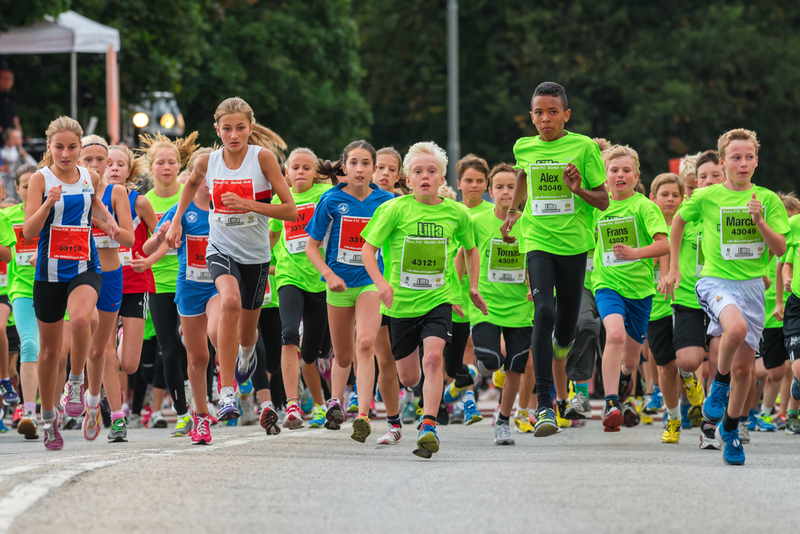 Use the event to teach about the following: Ancient Greece and the story of the first Marathon, units of measurement, financial literacy, human anatomy, and so much more. Use the weeks leading up to the event as a school and community wide fitness initiative to get in shape and lift spirits. If you have any tips about creating and hosting a race event, or have comments about what you just read, please share bellow. I thought I would let you know that there are other companies that support healthy event-based fundraising such as our program http://www.FundMonkey.com. We provide a campaign management tool for that will support nearly any type of fundraiser. Thank you Shannon for sharing information, FundMonkey looks like a great program. Thank you for sharing superb innmsoatiofr. Your site is so cool. I am impressed by the details that you’ve on this web site. It reveals how nicely you perceive this subject. Bookmarked this website page, will come back for more articles. You, my friend, ROCK! I found simply the info I already searched everywhere and simply could not come across. What a great website.